"...the three leaves represent ... those who worked, those who fought and those who prayed." Pisconeri Studio provides experienced Photography, Creative Direction, Consulting, Design Services and Production Assistance on a wide array of creative projects. Our goal is to solve your design and photography needs with creative, cost effective solutions. We discuss every project with the client and determine the best solution for their advertising and marketing needs. We are successful when you are succesful. We can provide assistance in Advertising, Marketing Planning and Implementation, Identity Development and Branding, Website Design and Development, Print Advertising Production and Placement. Located in a North Atlanta community, convenient to metro Atlanta, Pisconeri Studio includes production offices, digital studio, photography studio, full kitchen and more in a relaxed environment. Judith Pishnery is an experienced photographer spanning the fine art and commercial worlds. Her passion for photography leads her from the studio to many interesting places around the world. From the classic serenity of black and white to captivating color images, she pursues cities and countrysides with equal creativity and enthusiasm. Her photography has been featured in national and international publications and graced the printed page of corporate reports. Her images have been internationally exhibited and are part of several private and corporate collections. See Photo Services for more info. Tony Pishnery has 25 years of experience producing successful advertising and marketing materials for a wide range of companies large to small. projects include complete corporate identities, marketing and sales collateral, annual reports and capabilities brochures, trade show graphics and intergrated website. Residential, Commercial & Public Spaces. All images on the site are available as fine art prints in a variety of sizes. See Photo Services for more info. Customized images, unique & custom commissions, photography, assignments and stock can be created for the specific needs of individual companies. 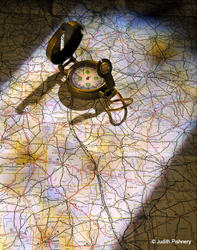 Photographic works from our extensive stock photography collection are available. See Photo Services for more info. View the CREATIVE and PHOTOGRAPHY portfolios to see a selection of completed projects. To inquire about specifics and pricing for your individual and corporate projects, email or call us. *What's in the name - PISCONERI STUDIO? Some of you may wonder where the name PISCONERI came from, this is the brief answer. PISCONERI is one of the original Italian spelling of the name. When members of the family immigrated to the United States in the late 1800s to the early 1900s, the name PISCONERI & PISCIONERI were gradually changed to various iterations as the family members assimilated into the United States melting pot. The family name PISHNERY is one of the variations. Since Tony & Judith work together to provide the creative services and photography for PISCONERI STUDIO, rather than taking on either of their names (or some random business name) and also to honor the original family name, they decided to choose one of the Italian spellings. So there you have the origin of the PISCONERI STUDIO name. The fleur-de-lis (or fleur-de-lys; plural: fleurs-de-lis; (pronunciation as in lease, not lee), is a stylized lily (in French, fleur means flower, and lis means lily) or iris, that is used as a decorative design or symbol. It may be "at one and the same time, political, dynastic, artistic, emblematic, and symbolic",especially in heraldry. While the fleur-de-lis has appeared on countless European coats of arms and flags over the centuries, it is particularly associated with the French monarchy<= in a historical context, and continues to appear in the arms of the King of Spain and the Grand Duke of Luxembourg, members of the House of Bourbon. It remains an enduring symbol of France that appears on French postage stamps, although it has never been adopted officially by any of the French republics. According to French historian Georges Duby, the three leaves represent the medieval social classes: those who worked, those who fought and those who prayed. 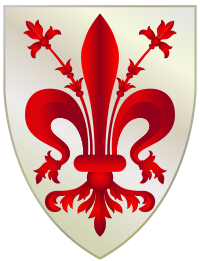 It is also the ancient emblem of the city of Florence, and of the Swiss municipality of Schlieren. In Florentine fleurs-de-lis, the stamens are always posed between the petals. This heraldic charge is often known as the Florentine lily to distinguish it from the conventional design. It is an emblem of the city. Elsewhere in Italy, fleurs-de-lis have been used for some papal crownsand coats of arms, Farnese, Dukes of Parma, and by some doges of Venice.